One Sunday afternoon last year, driving home from a gig the previous night in London, I was listening to the radio when ‘The Tears Of A Clown’ by Smokey Robinson & The Miracles came on. Taking into account that I’ve probably heard this track thousands of times in my life, I could never quite work out what the line in the middle eight was, directly before ‘I have to keep my sadness hid’. All of a sudden it was clear as day ‘just like Pagliacci did’! The same Pagliacci Alan Moore was referring to in the quote above from ‘Watchmen’. 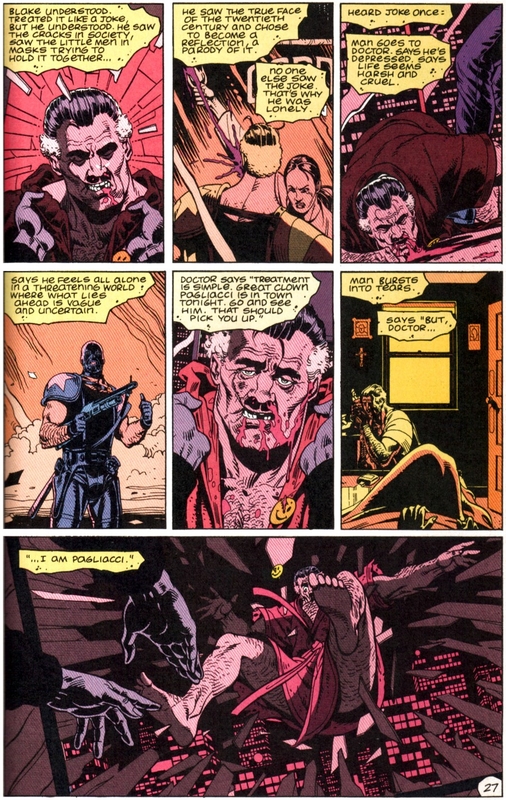 As any regular reader of the blog will know, Moore and ‘Watchmen’ have been the subject of a whole heap of pieces here, so Smokey wasn’t going to slip a ‘Pagliacci’ past me this time – Moore’s invocation of Pagliacci, whilst outlining the death of the book’s central character, The Comedian (narrated by the vigilante, Rorschach, who’s investigating the murder) is one of ‘Watchmen’s’ most powerful sequences. 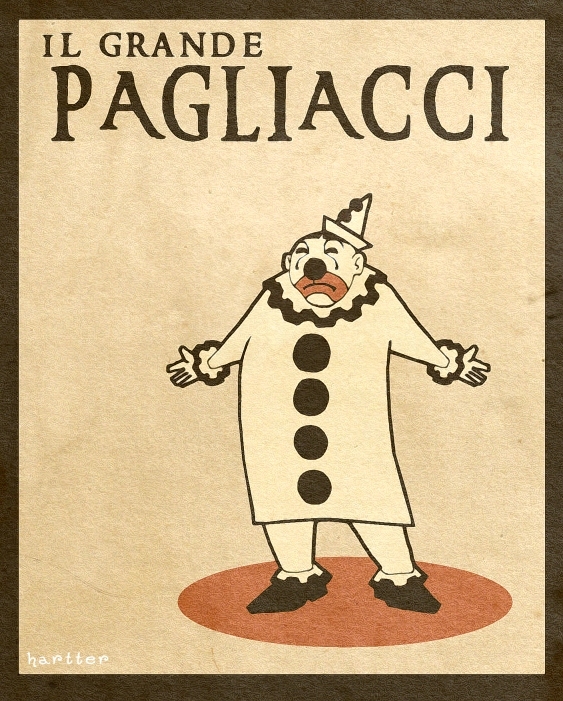 It all makes sense now – Pagliacci was an Italian opera from the late 1800s, a role made famous by the legendary tenor Enrico Caruso. 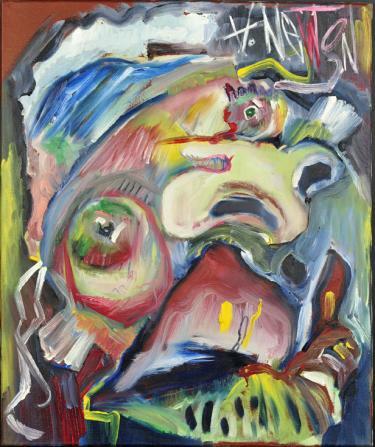 The title is the name of the main character, the story illustrating how, behind the make up, clowns are real people too, who also experience the joy and sorrow of real emotions, but given their role as laughter bringers, their sadness being of a particularly poignant variety. As Smokey Robinson put it so well – ‘now there’s some sad things known to man, but ain’t too much sadder than the tears of a clown, when there’s no one around’. 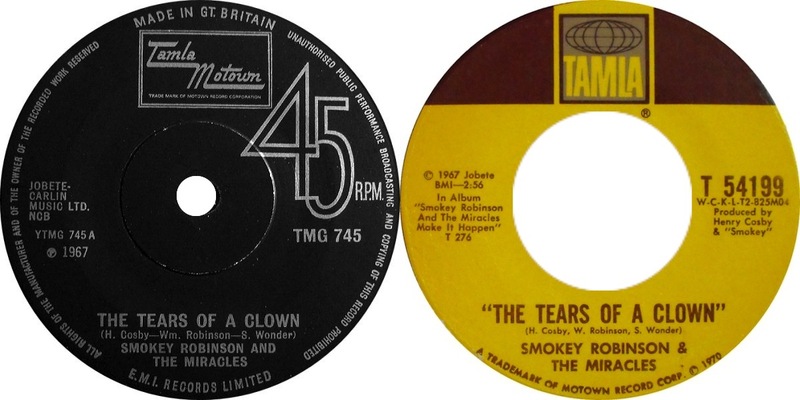 ‘The Tears Of A Clown’ is a titan amongst tunes, first issued in 1967, and co-written by a teenage Stevie Wonder, it’s a once heard never forgotten experience. It’s one of the best-known Motown recordings, which is some going when you consider just how many great Motown tracks there were, hit after hit after hit throughout the ’60s and ’70s and on into the ’80s and beyond. So, as you can see, this is a track with real weight – what might be termed a classic amongst classics. Yet this wasn’t even issued as a single in ’67, but hidden away as the closing track on an album called ‘Make It Happen’. The Miracles had already had 14 hits in the US chart by this point, the biggest their first, 1960’s ‘Shop Around’, which peaked at #2, but the label slept on ‘The Tears Of A Clown’, they obviously didn’t hear this as a hit single (whereas this would subsequently become the group’s biggest hit of all, 3 years down the line). It’s against this background that ‘The Tears Of A Clown’, which had been overlooked at source, had been picked up on by British DJs who looked beyond the 7”, curious that there might be some hidden gems on the LP’s by these artists. It was as a result of these DJs digging that bit deeper that ‘The Tears Of A Clown’ became a cult track within the more discerning British nightspots, where Soul reigned supreme, prompting the single release in the first place. In 1969, following a quartet of more modest UK hits (the highest placing being #27 in ’67 for ‘I Second That Emotion’), Tamla Motown finally got Smokey & The Miracles into the Top 10 with a 4 year old recording, ‘The Tracks Of My Tears’ (a US Top 20 hit in 1965), but were unable to capitalize on this success because Smokey had decided to leave the group to concentrate on his role as vice-president of Motown, as well as raising a family. His departure halted the momentum, but, the following year, some extremely bright spark (who? I’m not sure) suggested the label release another track from the band’s back catalogue, not a former US hit this time, but a relatively obscure album track that had found favour in the clubs called ‘The Tears Of A Clown’. It was an inspired move, the single going on to top the UK chart, a feat that would greatly impress the parent company in Detroit, who decided to unleash it on the US market. But first they felt, with radio in mind, that they needed to bring the track sonically up to date, so they decided to re-record the drums and the bass to help give it a more contemporary production sound. Having done this, as with the UK, the records release would prove to be a major coup, taking the group all the way to the top of the US chart for the first time. Given their new found success, Smokey Robinson would re-join The Miracles, staying with the group for 2 more years before he introduced Billy Griffin as his official replacement (The Miracles’ second US #1 would come courtesy of ‘Love Machine’, a Griffin fronted Disco favourite from ’75). Yet amidst all this history there remained a mystery. The drummer who played on the original session recording of ‘The Tears Of A Clown’, Benny Benjamin, had passed away less than two years on, so his successor, Uriel Jones, overdubbed the 1970 version. When Bob Babbitt died, just over 12 months ago, most of the obituaries credited him with playing bass on ‘The Tears Of A Clown’, but given that his first session for Motown was in 1970, and the track was actually issued for the first time 3 years previously, I knew this couldn’t be the case. Furthermore, the legendary bassist James Jamerson is also often listed as playing bass on the track, so something was wrong somewhere. However, once I learnt of the later overdubs, all began to make sense – that was until I came across the possibility that James Jamerson might not have been the original bassist after all. 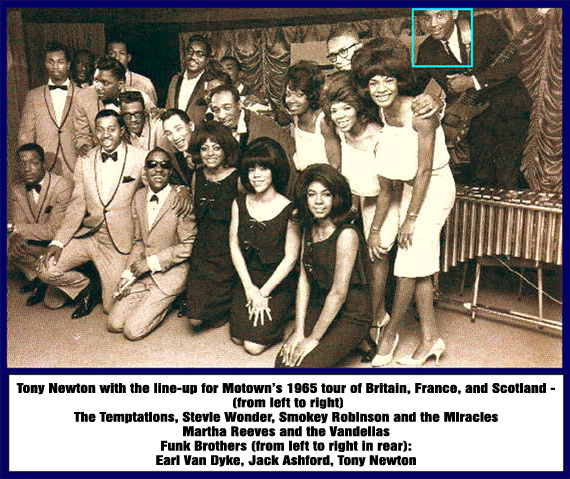 Tony Newton was chosen to replace James Jamerson as touring bassist with The Miracles when he was just 18, so that Jamerson could concentrate on studio recording exclusively. He came over to Britain for the famed 1965 ‘Motown Revue’ dates, which did so much in helping popularise the music in this country. He also appeared on a number of recordings, said to include ‘Where Did Our Love Go’, ‘Baby Love’, ‘Stop In The Name Of Love, (by The Supremes) and ‘Nowhere to Run’ (by Martha & The Vandellas) in Detroit, and later, when the company moved to Los Angeles, ‘ABC’, ‘Never Can Say Goodbye’ (by the Jackson 5), and ‘Don’t Leave Me This Way’ (by Thelma Houston), amongst many others. The internet can be the great connector and, as I was looking around, I actually found Tony Newton’s website and was able to drop him an email asking him about his involvement in the track, which he confirmed. So, it appears the original bass on ‘The Tears Of A Clown’ was courtesy of Tony Newton, whilst the 1970 re-recording was Bob Babbitt, which would mean that the UK release featured Newton and drummer Benny Benjamin, whilst the US combines Babbitt and Uriel Jones. So, Italian Opera, the British Mod movement, the music of Motortown, Detroit and a trio of great bassists, along with the comic book gravitas of Alan Moore, all collide in a fusion of cross-cultural reference, each adding richness to the other in this process. As I mentioned back in June (http://blog.gregwilson.co.uk/2013/06/american-trilogy-motortown-philly-nyc-2/), when I played ‘The Tears Of A Clown’ at Movement’s open air ‘Appreciation Party’, at TV Lounge in midtown Detroit, right there amidst the ghosts of Motown past, it was in full awareness of the legacy of a track that, although one of Detroit’s greatest, only achieved that greatness because of DJs across the Atlantic – this was very much a gift that Britain had given back to Detroit, and consequently the world. So next time you hear ‘The Tears Of A Clown’ remember that classics aren’t immediately identified as such – sometimes their assent to such a lofty status may require a passage of time and / or a roundabout route. Brilliant article, love stories like this. However, who are the Dj’s now who break new material/artists now? As I believe, much is now done by the Dj’s themselves, pimping their own material? The same can be said of radio stations; I know to get a record pushed on a station you need help and cash, which is why the same boring sounds are being hammered on the airwaves. The nostalgic period of which you talk of, has now been replaced by corporate A&R, with radio stations & media being owned by large multinationals ( eg Bauer Media). DJ’s take a collective stand, search out new styles, be open to fresh ideas and not always be willing to follow the sheep mentality. This to me is what made ‘Northern Soul’ the concept it was. Dj’s sought out the rare, the unusual, the left field. It was interesting to read a previous comment about Dean Johnson and how he was fired for sticking to what he loved. I know Dean very well, and I hope he is well. He used to send me lots of stuff out when I was in Holland. Just as you, yourself Greg, have stayed true to what you love, but what would you do if event promoters started telling you to play certain styles of music? Would you conform? Even Mozart was shafted in the end because he would not follow the yellow brick road. Music like any art form, is only popular because certain groups allow it to be promoted either by events, adverts, film, broadcasts etc…when a style comes along now, it is usually done with a hidden agenda. For example, look at the phenomenon, Gangham style, musically its awful, but through clever manipulation of social media and the buy in of large corporates, the rest is history! I am still a believer that talent always rises to the fore, but global talents always need a helping hand and unfortunately, that requires mass marketing. Dj’s have the know how, the platform to make a difference. Will they do it? Or will they succumb to feeding the sheep with what they expect? Only they know the answer. Tony Newton is awesome on the bass. I met him at the NAMM show this year and he is a very nice guy. Incredible musical history. I didn’t even know I was listening to his bass lines all these years, until I did some research. Thanks for the article! Greg is a kindred spirit for many – the anecdotes referenced are known to a select few, and doomed to disappear in the annals of time, or worse – allow the manipulators to re-write history. We owe a continued debt to Greg for imparting these to us and a wider audience in such an articulate, interesting, humorous and accurate style. I regard his blogs a reflection of what made British DJ’s and club scene, the best in the world, educating and interesting but never alienating, humorous and entertaining, but credible, and ultimately a knowledge of the subject matter that even fascinates the Americans – it’s so deep. God I wish, I could write like you Greg ! Where else are you going to get this kind of info from? Yet another great post…Thanks Greg!